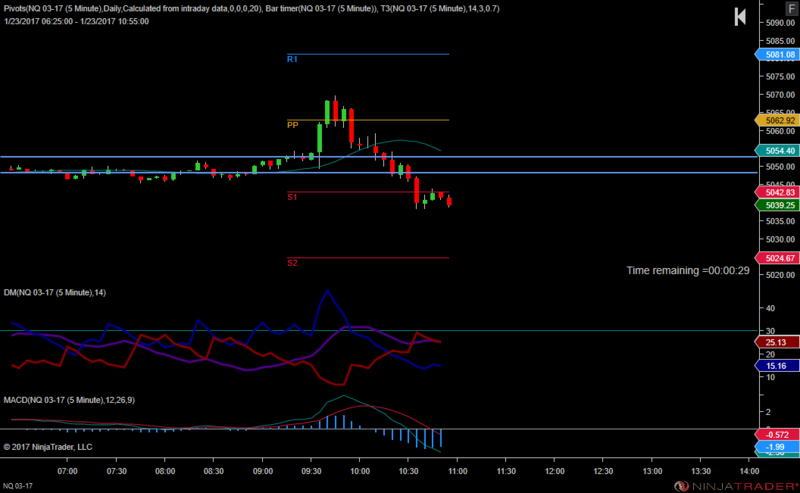 YM trade good for 49 pts, my ideal momentum trade, Pivot was broken on the YM, NQ and the ES. As I type this, the market may continue to selloff, I'm not chasing it after already making a profit, I will wait for my next trade maybe later this week? A professor turned entrepreneur, Scott Galloway comes across as a funny and cool tell it like it is digital financial analyst...think Cramer blended with George Carlin. Anybody that can admit to using cocaine, Nexium, and Viagra is worth listening too. His Youtube videos are well put together and engaging. Check him out at the link below. "We rather confess our moral errors, faults, and crimes than our ignorance." 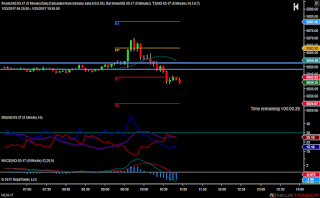 Made a few YM trades, all with tight stops that got me out of the market with a small profit. Focusing on capital management, not chasing the market. 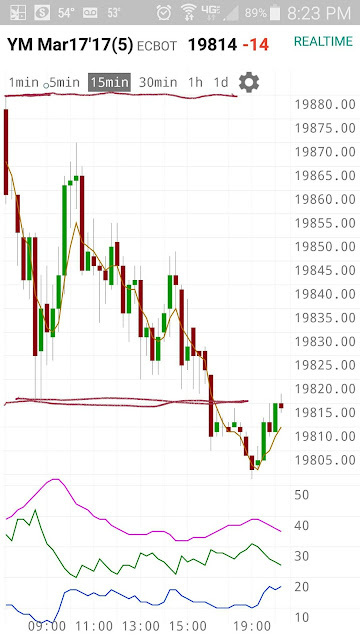 In the attached charts, I use a 15min time frame, I also use a Ninja Trader 60min 30min and a 5min chart (not in this post); the larger time frames help to make the overall trend more apparent... don't trade the chop is my daily mantra. The world has its eyes on Dow 20,000, I have zero expectations of what will happen, don't want to cloud my judgment for the next trade. In the month of January I do expect to see more volatility...US presidential inauguration. 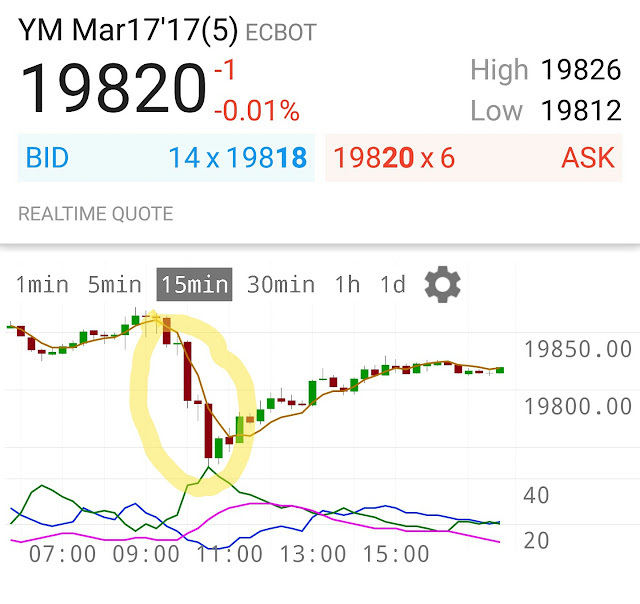 The (YM) market interpeted the jobs numbers as mostly positve, you have to go with the flow. 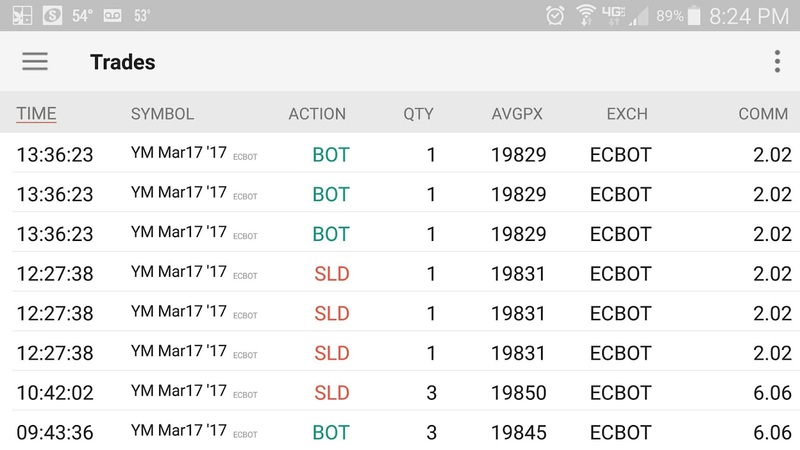 As much as I hate being bullish, I was fortunate enough to get a decent amount of points. I waited a hour after market open to find the support and resistance. 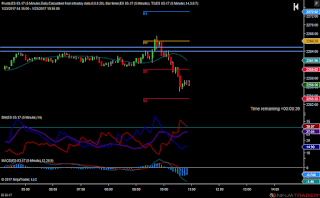 In this volatile market conditions, I made one trade, held my stop for 20 min before moving it to a area of support allowing price to move further in my favor. 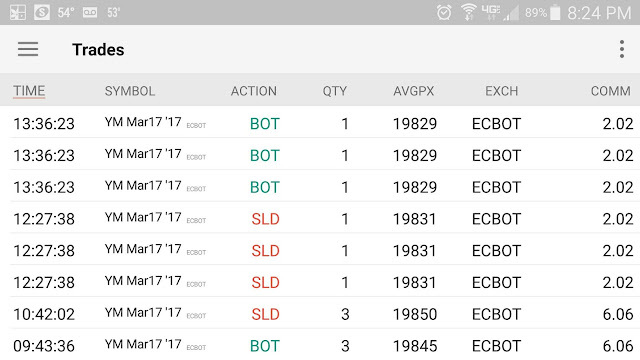 The volatility has been extreme, happy to end the week with a profit. 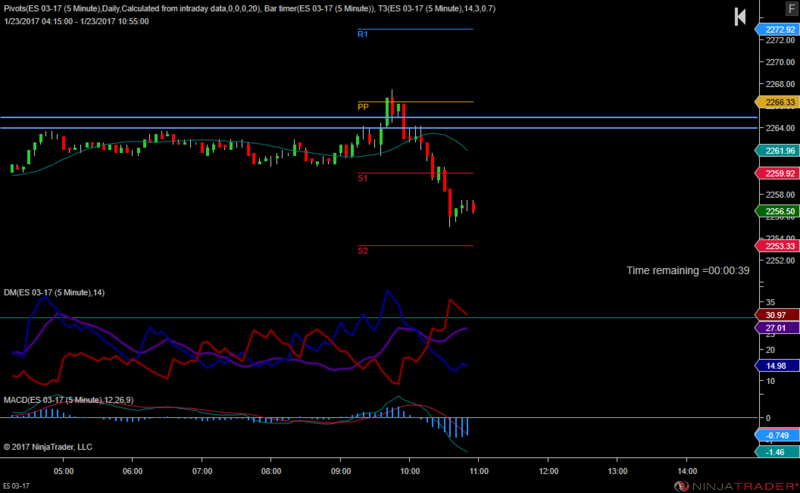 Note: on a 15min chart, the bullish pattern looks a lot more obvious than it would on a faster chart. 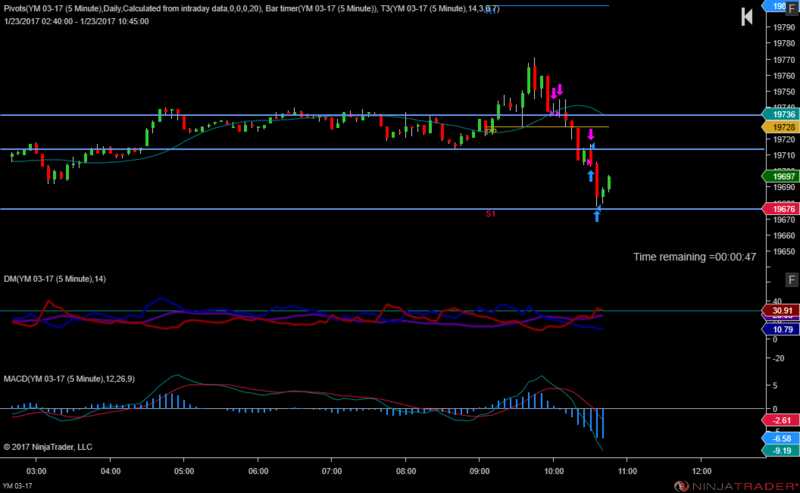 Zero trades taken today, potential short opportunity in the morning was available. Not quite a full time trader yet. Jobs Report in the morning. Is Retail Trading Still A Thing? The question is not meant to be answered, it was more philosophical in nature. To be more specific, can a retail trader compete in the hyper-volatile market? That's another question I'm not looking for an answer for... maybe I don't want to hear an answer that doesn't fit my personal narrative? 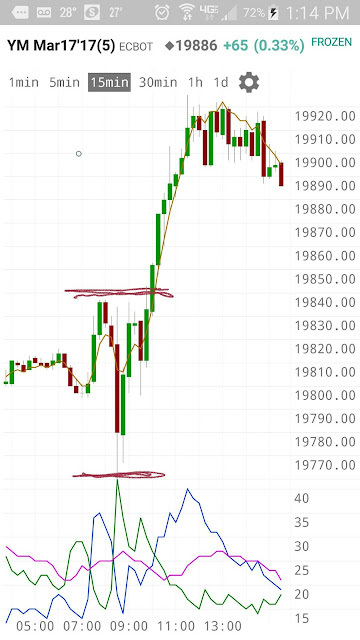 Good old fashion technical analysis is higher highs and lower lows, support and resistance use to matter. Decisions to buy or sell are made within the "agreed" upon market dynamics. This has been the rule of thumb for any retail trader seeking consistent performance, with a good understanding of S&R. 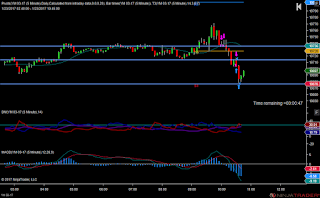 It's not an exact science, but if your timing was in the ballpark with a decent stop in place, a trader could regularly capture a good trend for an ample amount of points. I was going to post some old charts as an example of the kind of trading conditions I am accustom to seeing and contrast them against recent market conditions... but I'm feeling lazy and I'd rather have a drink now.